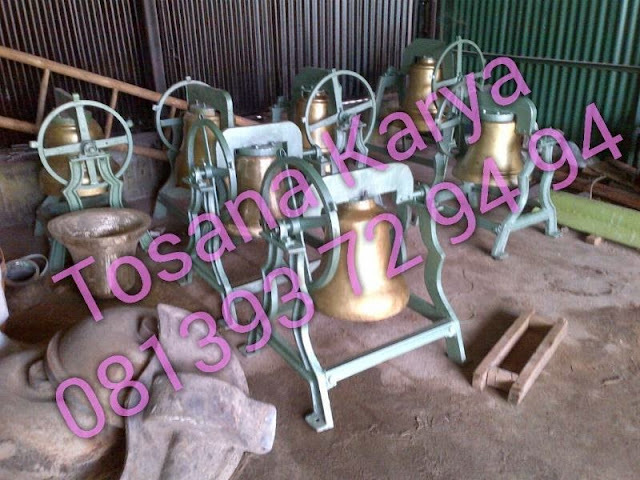 church bell is a sign of the glory of Christ and Christians as a symbol for worship or religious activity, ringing church bells at fitting the big day and is always in the ring with the song of glory. 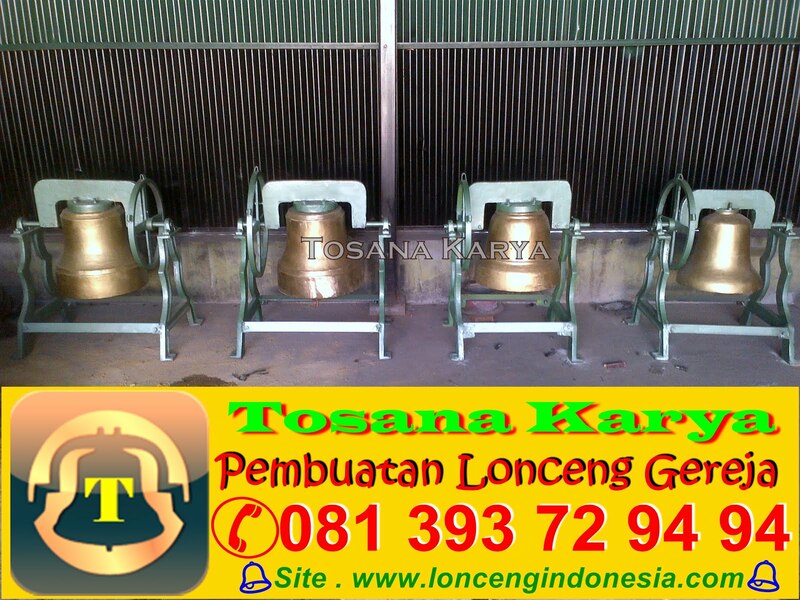 bells would be wonderful if it itself has a beautiful sound, as in the offer tosana work that makes the production of church bells since grandma has a secret moyang.tosana work to create a loud sound of church bells, loud and echoing to the sound of church bells distance produced by Tosana work is made from brass and bronze, and there are other materials that need to be noticed Church bells in the making. tosana karya of producing the appropriate church bell design, size and modification applicants because Tosana karya-producing church bells that have been reliable and trustworthy. Addresses: batur pojok, Rt / rw: 07/04, Tegalrejo, ceper, Klaten,indonesia.